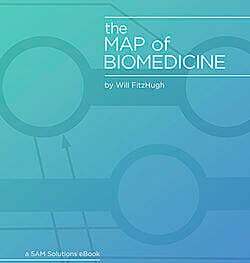 The average length of time from target discovery to approval of a new drug currently averages about 13 years, the failure rate exceeds 95 percent, and the cost per successful drug exceeds $1 billion, after adjusting for all of the failures. On its face, this is not the kind of endorsement that would make most people drop what they're doing to pursue new therapies for the array of diseases and disorders bent on killing us. On the other hand, drug developers are dogged and the more than 95 percent failure rate doesn't mean the end for many medicines. In many cases, drugs fail in the the second or third phases of their clinical trials. By that time, the research and development is done. The funding has been used and the compounds themselves have proven safe for humans. However, they just might not work for the condition that they were intended to treat. Sometimes it emerges that the drug works in an unexpected, but useful and marketable way. 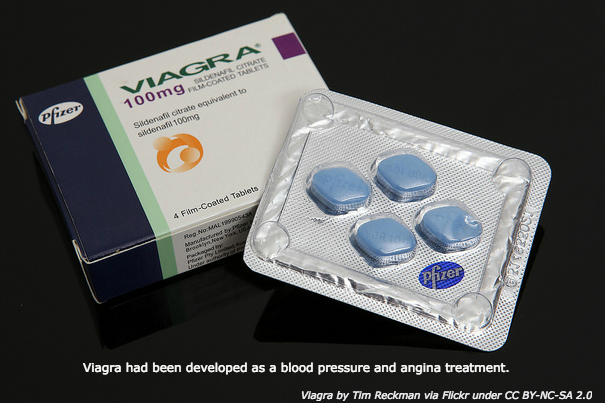 Perhaps the most famous occurrence of researchers happening upon an alternate use for a failed drug is Pfizer's Viagra, which had been developed as a blood pressure and angina treatment. When it failed to improve trial subjects' blood pressure and angina, Pfizer's researchers, having taken note of the compound's other benefits, redirected their efforts toward creating one of the best-known drugs in history. Other drugs, like AZT, have similar stories. AZT was intended to treat cancer, but researchers found that it was more effective at keeping the HIV virus from replicating. Sildenafil -- the compound that made Viagra a household name -- is also sold as Revatio, a drug that is used to treat pulmonary arterial hypertension. While these drugs may have found a second life by "accident," other, originally failed medicines find their way onto pharmacists' shelves quite purposefully. The National Center for Advancing Translational Sciences (NCAT) calls them "repurposed drugs" and it has a program in place to find new uses for failed treatments called Discovering New Therapeutic Uses for Existing Molecules. Launched in 2012, the program helps researchers work with pharmaceutical companies to find and use already tested compounds that can aid them in developing new treatments -- and NCAT is not alone. Several newer biotech companies have also taken up the repurposing mantle. A few companies leverage complex bioinformatics to pinpoint new uses for failed compounds. Others take a more systematic approach to happening upon new uses. Safe medicines aren't the only ones that get a second -- or third -- chance. Science reported on a 1930s-era weight loss treatment that, in animal trials, shows some promise in reversing diabetes and the related non-alcoholic fatty liver disease (NAFLD). The original weight loss remedy was based on a compound used as an industrial chemical and explosive used during the first world war. People lost weight using it, but the side effects included cataracts and death. Today, researchers have found that a safer, slow-release version has some significant metabolic benefits. Perhaps old dogs can learn new tricks.